Tickets Go On Sale This Saturday – Early Bird Special! 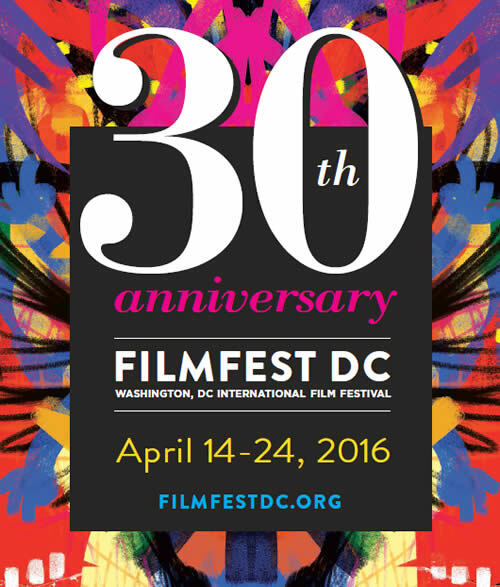 WASHINGTON – Say farewell to winter and kick-off spring by celebrating the 30 anniversary of Filmfest DC! The largest and only international film festival in the nation’s capital celebrates 30 years of bringing the best cinema from around the globe to DC area residents and visitors. This year, the festival will bring 75 films from 45 countries to show on 6 screens across 11 days during 1 exciting festival. Films span across a variety of sections, offering something for every movie lover! Numerous directors and filmmakers will be at the screenings during the festival for questions and conversation with audience members. A list of films and their descriptions can be found at FilmfestDC.org. Tickets go on sale this Saturday, April 2 and will be offered at a 10% early bird discount through Sunday, April 3. Opening and closing night tickets are already available for purchase. Stay tuned for the full Filmfest DC catalog and lineup in the Friday, April 8th issue of The Washington Post. Where: Landmark E Street Cinema and AMC Mazza Gallerie will host the films. Event Information: Members of the public who have questions should call (202) 234-FILM (3456) or email filmfestdc@filmfestdc.org.